Doug Miller Party - Trophy Walleyes for All! Here are the guys from the Doug Miller party holding 4 of the 5 Walleyes they caught fishing with Milky Way Fishing Charters on Saturday, May 10th. They also brought in a nice Northern Pike and a small Brown Trout. 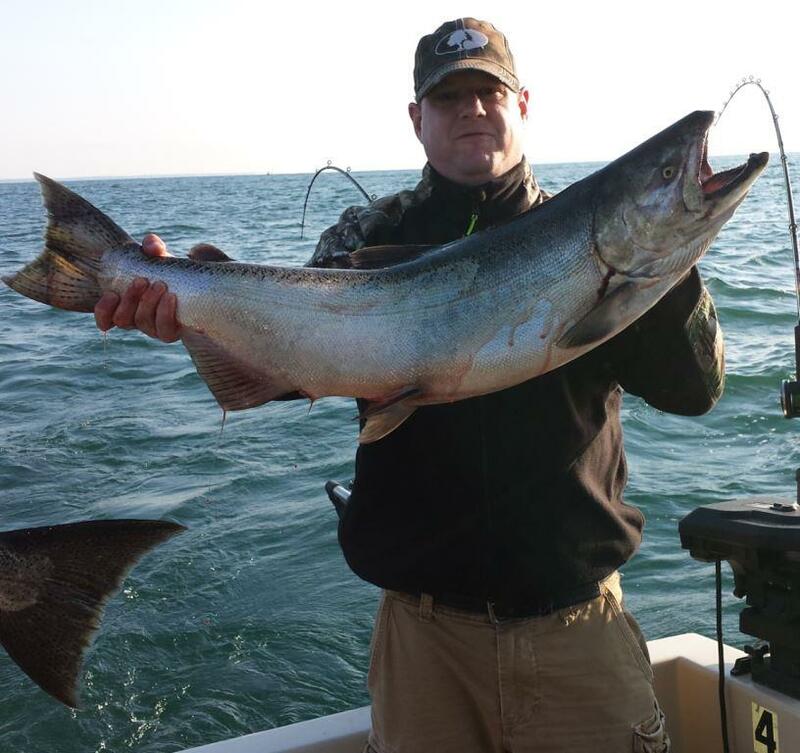 This is one of the bonuses of fishing in the Henderson Harbor area of Lake Ontario. You never know what is on the other end of the line! A decent day of fishing and a fun time had by all! On Sept. 1st, the Gary Babcock fishing party went aboard the Milky Way to target Walleyes. For Matt Widrick, the first Walleye he ever caught, happened to be a trophy sized 12 pounder! And, a trophy fish like this deserves to go on a wall and that is exactly what is happening to Matt's first ever Walleye. Now that is what you call fishing! Congratulations Matt!